In a message written in 2005 Virginia McKenna(Starred in movie Born Free) made this comment regarding her dear friend George Adamson "....No-one who met George could fail to have been inspired and touched by this remarkable man." The Christian Science Monitor wrote "NO one better knew the language and lives of lions - or loved them more - than George Adamson." 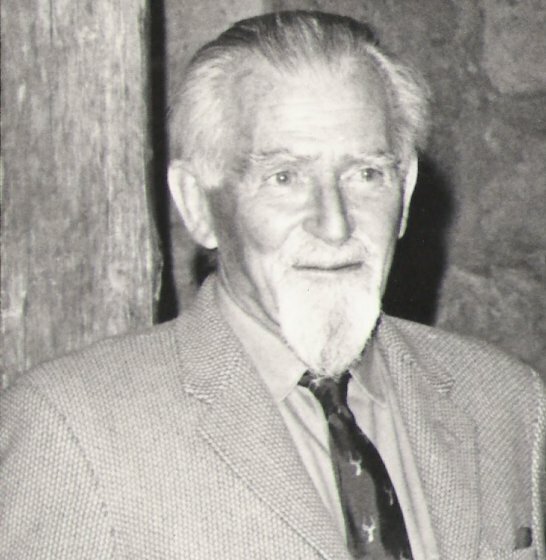 George Alexander Graham Adamson was born in Etawah, India (then British India) on the 3rd of February 1906. 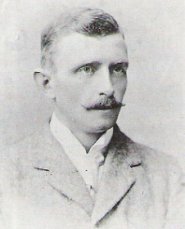 His mother Katherine was English and his father Harry, who helped to train an army for the Rajah of Dholpur, was Irish. 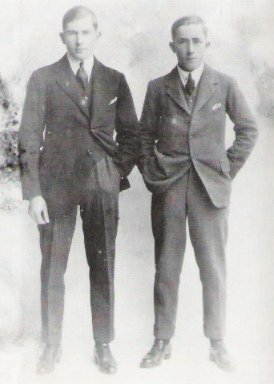 As a youth George attended a boarding school in England. He and his brother Terrance enjoyed hiking in Scotland and the two were very close. At the age of 18 George came to Kenya, East Africa in 1924 to work on his father's coffee plantation. Working on a plantation was not suited to his adventurous spirit and in the following years he tried various things and worked at many different jobs. 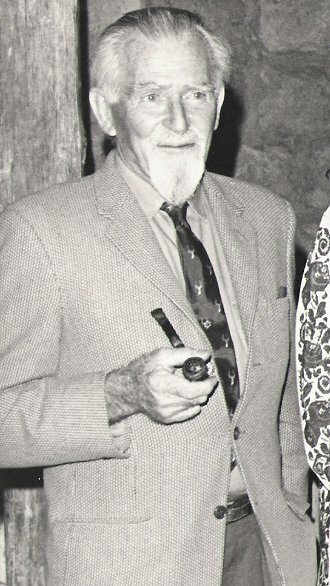 Years later in 1968 he vividly described these adventures in his fascinating biography titled 'Bwana Game'(European title) and in the USA titled 'A Lifetime With Lions'. His 2nd book published in 1986 is an equally fascinating autobiography titled 'My Pride and Joy'. 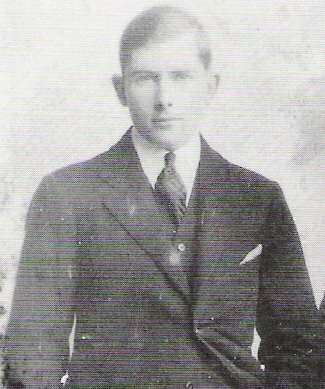 In 1938 at age 32 this tan and handsome young man with sandy blond hair and striking blue eyes joined Kenya's Game Department as a warden. 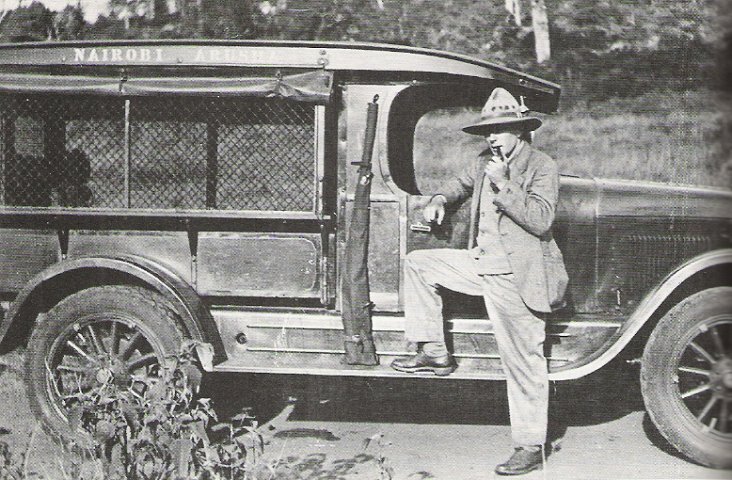 Being a game warden was an occupation that suited him extremely well and one at which he thrived. He met and married Joy four years later. Joy had three miscarriages and they were never able to have children. How did George view animals?.... A close acquaintance of his wrote, "Most of us look at an animal, prejudiced by our ignorance of it and convinced that because it lacks a language like ours, and therefore a culture, it is our inferior. 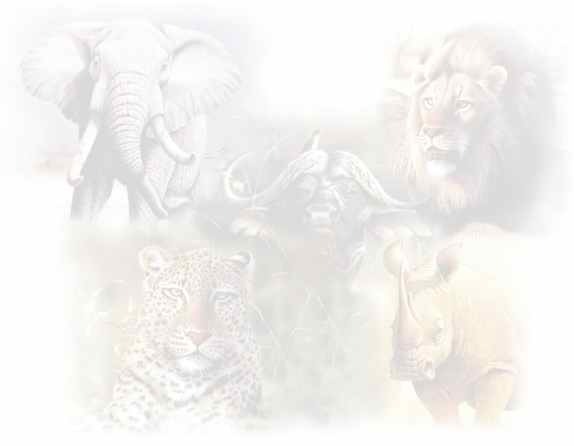 Most of us are only concerned for its survival if its whole species is endangered. George on the other hand, with the clearer eyes of experience recognized an animal's capacities(including trust and affection) for that which they actually were, and regarded it as an equal. He wanted save each one, as an individual, from unnecessary captivity, suffering or death. This was the foundation of his moral concern for the animals. He knew that they constituted no threat to the human race." Of course the human race constitues a serious threat to all animals and even our planet earth. The Christian Science Monitior wrote, "NO one better knew the language and lives of lions - or loved them more - than George Adamson. Few scientists took him seriously But friends say many scientists would have been humbled by sitting at the table of a man who sensed nature as a living whole, rather than only a subject to study." Further comment on the subject of scientific contributions by the Adamsons, came from George Schaler, himself a scientist. 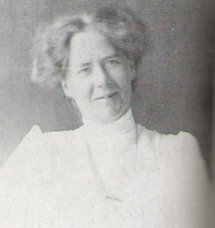 In an introduction to the 1987 edition of Born Free Schaler wrote, "The Adamsons gave us truths about the species that cannot be found in a biologist's notebook.... Their efforts at reintroduction and rehabilitation taught the scientific community invaluable lessons and the conservation community will forever be indebted to them..." Elsa and the other Adamson lions had shown the world that if given love and respect, a lion is capable of a far wider range of behavior than had previously been believed. She and the other lions were NOT programmed eating 'machines' with only conditioned reflexes but instead an 'individual' capable of a continuing trust, affection and lasting friendship with humans. The LOVE combined with respect that George had shown these animals had brought out qualities that most persons would have said did not exit. But George and his lions proved that these admirable qualities do exist and that lions have feelings and are individuals. 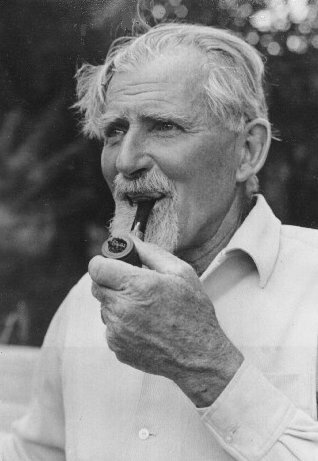 George Adamson continued his work with Lions and helped many to have a free life. He always remained their trustworthy friend. He was "Baba ya Simba" (Father of Lions). George showed us what man could do with Love even when dealing with what some would call, ferocious wild animals. 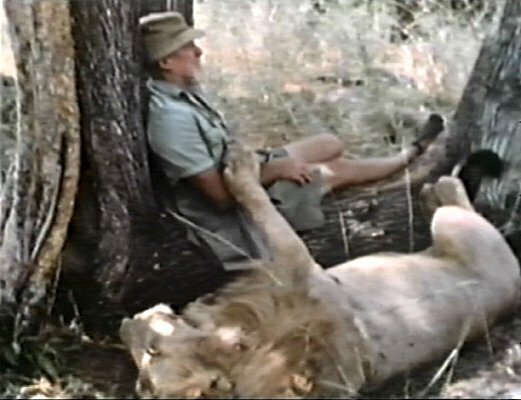 George lived and interacted with his lions friends who were living their life in the wild. Some persons worried for the safely of George and Joy living with animals that could pose a danger. But what killed both George and Joy is the most ruthless and dangerous predator of any in existence, humans. There will never be another person like George Adamson. His was a rugged life style, in a bush camp with only a few modern conveniences. He lived in harmony with nature and he shared a truly beautiful and almost unbelievable friendship with his beloved lion friends. He was truly a unique and wonderful gentleman who devoted his life to helping wildlife and to protecting the unique environment in which they lived. He was a Hero to the end .... giving his life to save another! "Who will now care for the animals, for they cannot look after themselves? Are there young men and women who are willing to take on this charge? Who will raise their voices, when mine is carried away on the wind, to plead their case?" 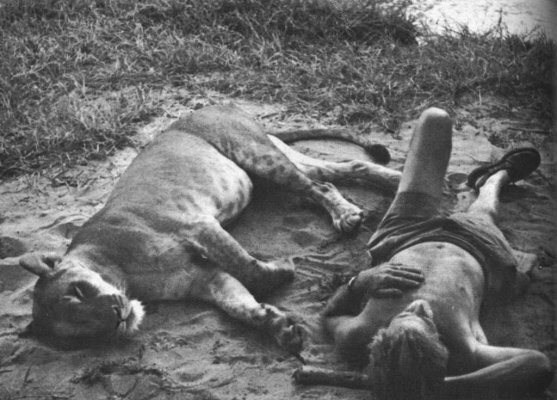 George Adamson and Boy the Lion taking a nap in the shade of a tree. that are living wild and still retained this absolutely remarkable, intimate relationship. Sadly we shall never see this kind of person again. George was a one-of-a-kind. even when dealing with what some would call, ferocious wild animals. BWANA GAME(UK title) and his book, MY PRIDE AND JOY. 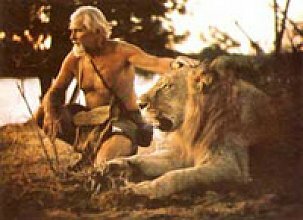 George Adamson can be seen in an AMAZING one hour documentary film titled THE LIONS ARE FREE and also in the two hour movie CHRISTIAN THE LION. BOTH are fascinating and should Not be missed! See the DVD and Books page on this website. Veterinarian and author Sue Hart wrote that before she had met George Adamson she had heard and read much about him and she wrote that she, "often wondered how he could have retained his reason and equanimity in the face of constant hardship and danger. He was said to be gentle, patient beyond endurance and non-eccentric; a simple soul, not ambitious, not worldly, quite unaffected by fame. By the time I met him on a short flying visit to his isolated camp in 1965, the whole world was at his feet, though he seemed hardly aware of the fact. .... On that first day, as the Land Rover which had carried us from the nearby airstrip brought us to the simple, immaculate, tented camp, I felt deeply moved to see the fabled lion-man just as he had been described to me, smiling a welcome as he stood amid his Lion pride, sprawled in all directions in the long grass. Calm, self-possessed, white-bearded, well-build, he looked uncannily like one of his Lions. As he shook my hand I noticed the radiant sweetness in his face, contrasting with the alertness in his probing, keen, deep-blue eyes. There was no doubt that he was inextricably linked with Nature for all time and that Nature, in her turn, accepted him unconditionally into her fold." The two brothers were extremely close. You may notice that George has on his East African Wildlife Society tie! George is wearing his East African Wildlife Society tie! In a message written in February 2005 Virginia McKenna(Star of the movie Born Free) made this comment regarding her dear friend George Adamson "....No-one who met George could fail to have been inspired and touched by this remarkable man." NO one better knew the language and lives of lions - or loved them more - than George Adamson. ....Few scientists took him seriously. But friends say many scientists would have been humbled by sitting at the table of a man who sensed nature as a living whole, rather than only a subject to study. including trust, affection and friendship and regarded the animals as an equal. in Kora National Park in Kenya, East Africa in 2005. 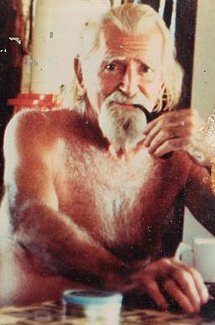 Do you have letters or photos pertaining to Joy or George Adamson? - - If so please SHARE with others, by offering 'viewing' of item on this non-profit site. NOTE: This is a NOT-for-profit site dedicated to conservationists George and Joy Adamson. If you have any information about items pertaining to George or Joy or if you have photos of or letters from George or Joy that you would like to share so that others may also have the opportunity of enjoying and learning more about the Adamsons, please scan the item(s) and send by . THANK YOU! and SUPPORT legislation that helps big cats! Support an organization which helps the animals. let me do it now.... For I shall not pass this way again." with his Lion and human friends.